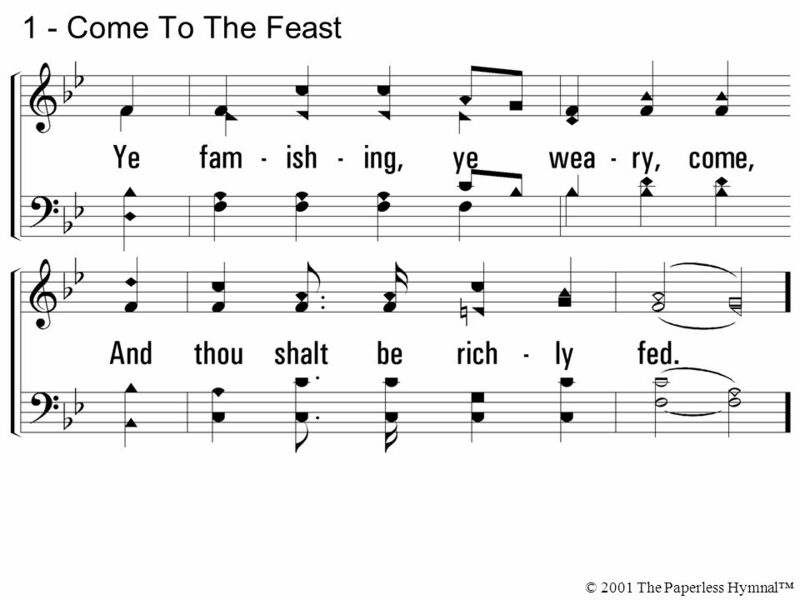 1 - Come To The Feast 1. "All things are ready," come to the feast! 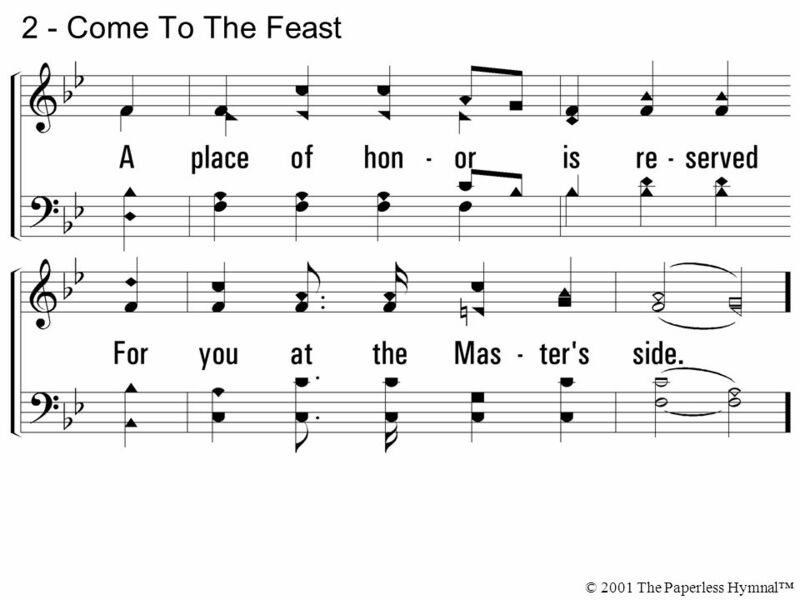 1 1 - Come To The Feast 1. 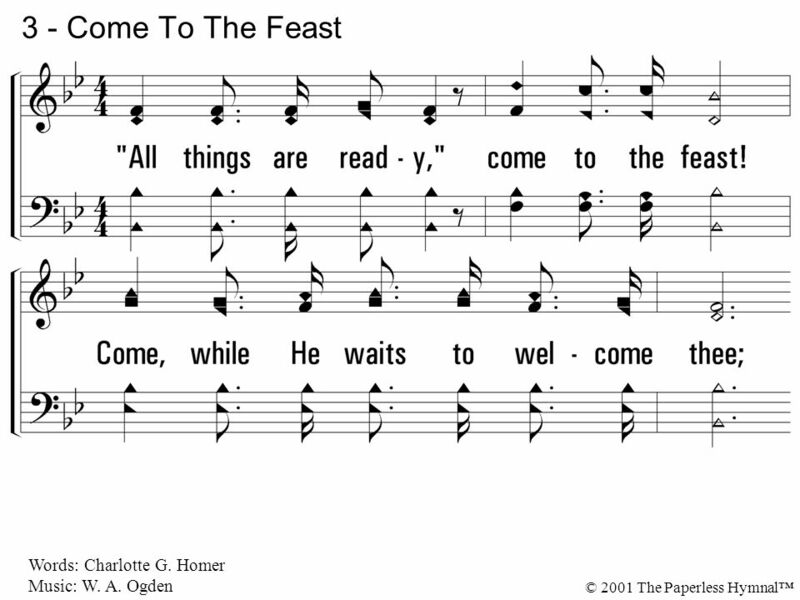 "All things are ready," come to the feast! 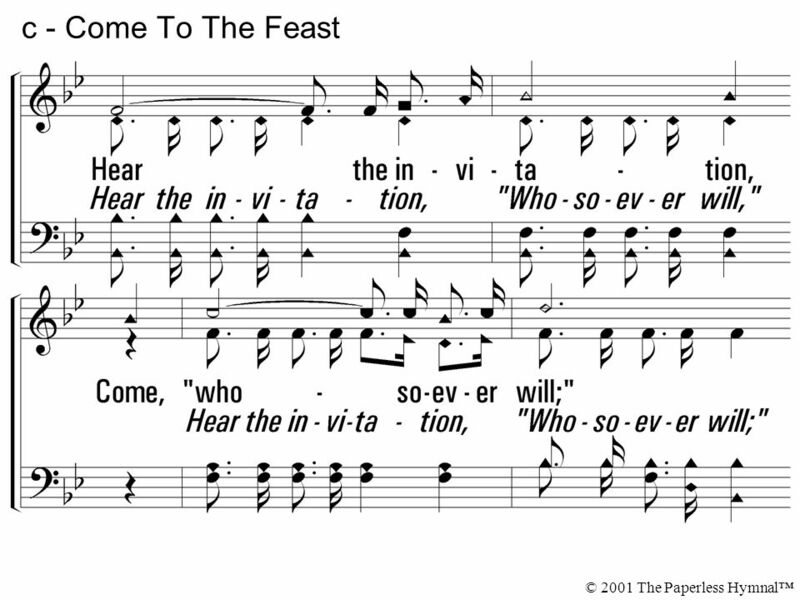 3 c - Come To The Feast Hear the invitation, Come, "whosoever will;"
5 2 - Come To The Feast 2. 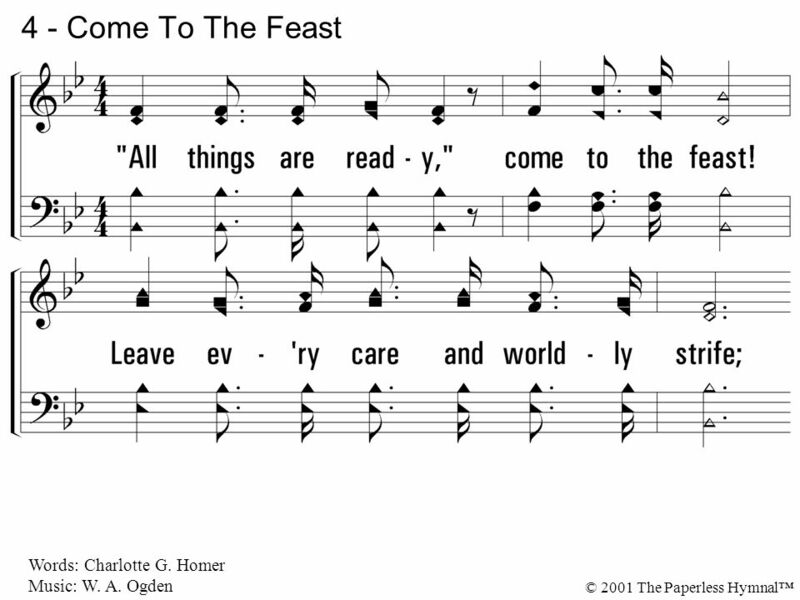 "All things are ready," come to the feast! 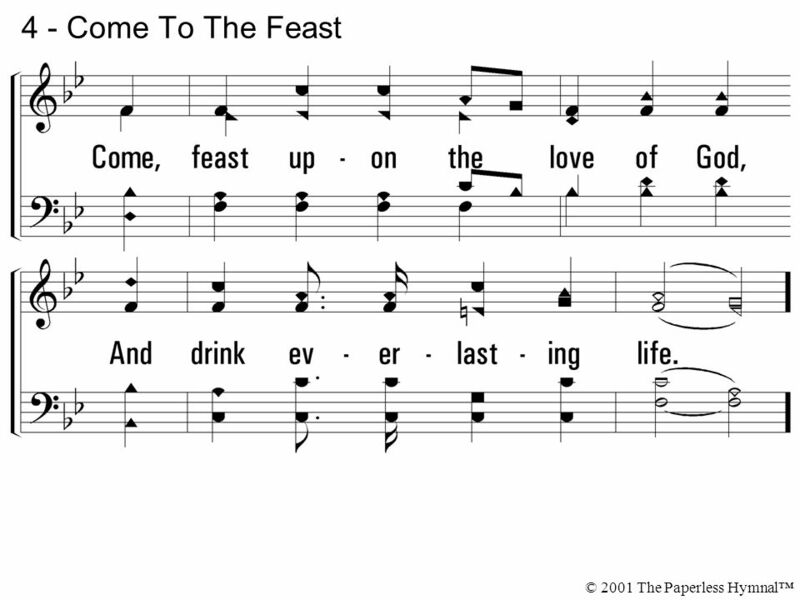 7 c - Come To The Feast Hear the invitation, Come, "whosoever will;"
9 3 - Come To The Feast 3. 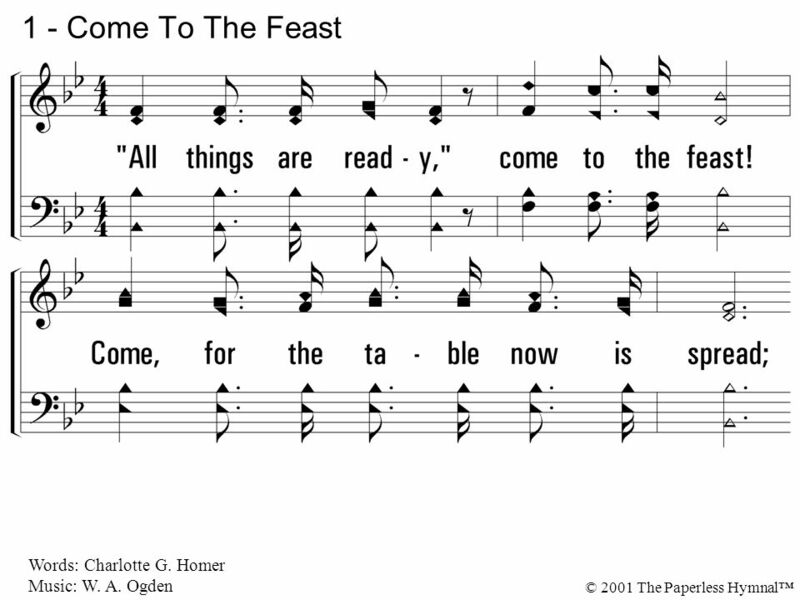 "All things are ready," come to the feast! 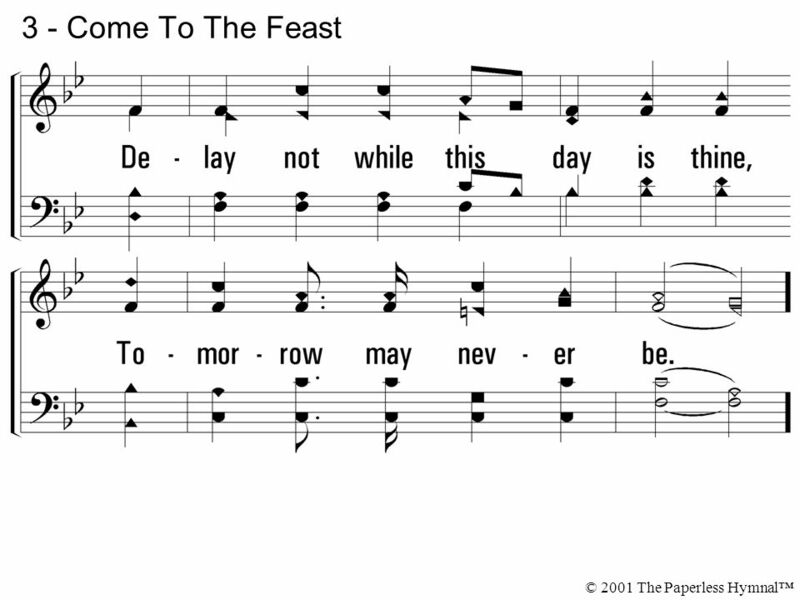 11 c - Come To The Feast Hear the invitation, Come, "whosoever will;"
13 4 - Come To The Feast 4. "All things are ready," come to the feast! 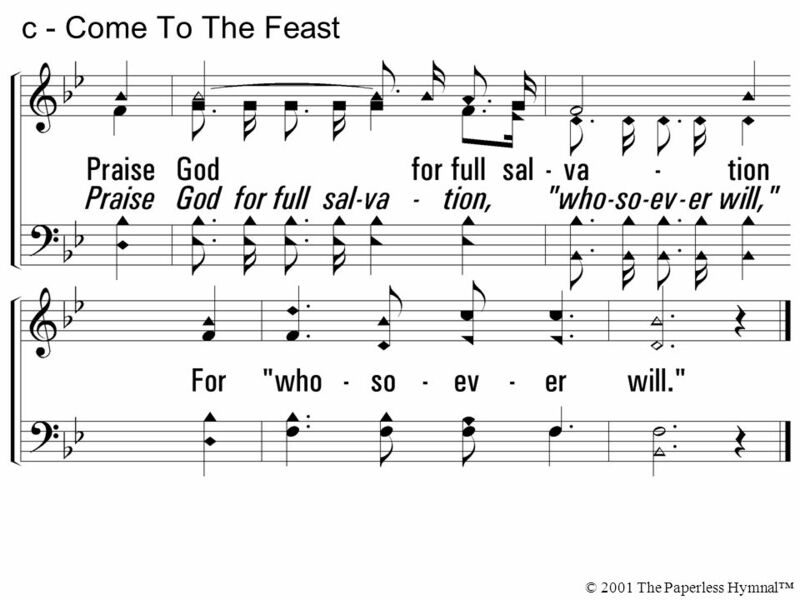 15 c - Come To The Feast Hear the invitation, Come, "whosoever will;"
Download ppt "1 - Come To The Feast 1. 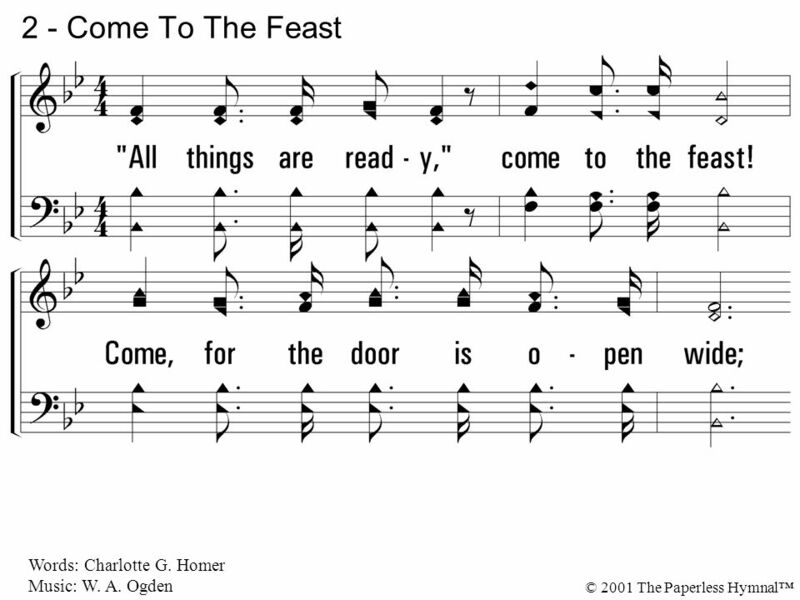 "All things are ready," come to the feast!" God Is Calling The Prodigal 1-6 God is calling the prodigal; come without delay; Hear, O hear Him calling, calling now for thee; (for thee;) Tho' you've. 1. There is a place of quiet rest, Near to the heart of God, A place where sin can not molest, Near to the heart of God. 1 – There is a Place of Quiet. 1. My faith looks up to Thee, Thou Lamb of Calvary, Savior divine: Now hear me while I pray; Take all my guilt away; O let me from this day Be wholly Thine. 1. Make me a captive, Lord, and then I shall be free. Force me to render up my sword, and I shall conqueror be. I sink in life's alarms when by myself. 1 - Unto Thee, O Lord 1. Unto Thee, O Lord do I lift up my soul. ARE YOU READY FOR A CHANGE? Feeling Good One Day and Down The Next Day.